Bella Scarpa (which means "Beautiful Shoe") is the perfect environment to experience the girly-ness in all of us. This quaint shoe & accessory boutique is a perfect destination for the fashion forward and trendy woman of all ages and styles. Walk through the guest elevators and turn right on the casino floor. Bella Scarpa will be on the right. Enter the doorways from the garage area and proceed on cobblestone walkway. Follow pathway as it veers to the right. Take left onto casino floor. Take a left before the guest elevators. Bella Scarpa is on the right. Find the finest domestic and imported cigars, cigarettes and other smoking materials. Visit the humidor and make a personal selection for yourself or as a gift — with hundreds of brands to choose from, Davidoff offers something for every discriminating smoker. Walk through guest elevators and go straight on casino floor. Turn right. Davidoff is located on the left next to the casino cage. Enter doorways from the garage area and walk straight to the casino floor. Take a left. Davidoff is located on the left next to the casino cage. Essentials carries office supplies, sundries, drinks, snacks and gifts. Located at the entrance to the South Convention Center. Walk past guest elevators and take a left on the casino floor. Continue on to cobblestone walkway and continue along the path with windows overlooking the beach past the Wedding Chapel. Continue to carpeted area of the convention center on the right. Essentials is located to the right of the Food Court. Enter the doorways from the garage area and proceed on cobblestone walkway. Follow pathway as it veers to the right. Continue along the path with windows overlooking the beach past the Wedding Chapel. Continue to carpeted area of the convention center on the right. Essentials is located to the right of the Food Court. Misura has a selection wide enough to satisfy a hip, trendy guy, or a more conservative type. Misura offers guys upscale looks, casual wear, shoes, hats and more. Walk through the guest elevators and turn right on the casino floor. Misura will be on the right. Enter the doorways from the garage area and proceed on cobblestone walkway. Follow pathway as it veers to the right. Take left onto casino floor. Take a left before the guest elevators. Misura is on the right. A new addition to Mandalay Bay Resort and Casino, Paradiso offers ladies an incredible selection of ready-to-wear clothing, shoes and accessories. Name brands abound in this vibrant atmosphere where you can find whatever it is you're looking for. Visit Paradiso located near the main entrance to Mandalay Bay Resort and Casino for a true resort-style shopping experience. Walk through the guest elevators and turn right on the casino floor. Paradiso will be on the right. Enter the doorways from the garage area and proceed on cobblestone walkway. Follow pathway as it veers to the right. Take left onto casino floor. Take a left before the guest elevators. Paradiso is on the right. Located on the beach level, Pearl Moon's assortment includes designer swimwear, shoes, designer handbags, fashion jewelry, hats, sunglasses and beach footwear that reflect the freedom and fun that is Mandalay Bay. *Closed from Nov 15, 2018 (Based on Weather and Pool Closure) through Jan 31, 2019, re-opens Feb 1, 2019. Take the guest elevators down to the beach level and take a right toward Spa Mandalay. Pearl Moon is located on the right. Enter the doorways from the garage area and proceed on cobblestone walkway. Follow pathway as it veers to the right. Take left onto casino floor and follow pathway toward the lobby. Take escalators or guest elevators down to beach level. Turn toward Spa Mandalay. Pearl Moon is located on the right. Newspapers, sundries, and snacks. Located at the elevator lobby on the casino level. Walk past the guest elevators toward the casino floor. Rangoon News is on the left. Enter the doorways from the garage area and proceed on cobblestone walkway. Follow pathway as it veers to the right. Take left onto casino floor. Rangoon News will be on the right-hand side. When it comes to that perfect accessory, you'll find it at Ruby Blue. Whether you are thinking "nice" or a little bit "naughty," this new store offers everyone the opportunity to celebrate Vegas in style. Walk through the guest elevators and turn right on the casino floor. Ruby Blue will be on the right. Enter the doorways from the garage area and proceed on cobblestone walkway. Follow pathway as it veers to the right. Take left onto casino floor. Take a left before the guest elevators. Ruby Blue is on the right. The most unusual eyewear collection ever assembled, featuring prescription and non-prescription designer eyewear and related accessories, as well as a custom optical department. Scene carries the hottest lines in a range of colors. Scene is located in the lobby area just before the guest elevators. Enter the doorways from the garage area and proceed on cobblestone walkway. Follow pathway as it veers to the right. Take left onto casino floor. Continue through the guest elevator area into the lobby. Scene is on the right-hand side. Take some serenity home with you and visit the Spa Mandalay Boutique. 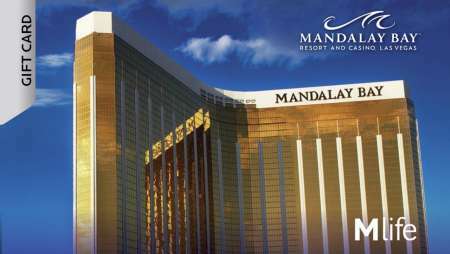 Take the guest elevators down to the beach level and take a right toward Spa Mandalay. The Spa Mandalay Boutique is located within the Spa area. Enter the doorways from the garage area and proceed on cobblestone walkway. Follow pathway as it veers to the right. Take left onto casino floor and follow pathway toward the lobby. Take escalators or guest elevators down to beach level. Turn toward Spa Mandalay. The Spa Mandalay Boutique is located within the Spa Area. Created by world-renowned tattoo artist Mario Barth, Starlight Tattoo offers the finest in tattoo application. We have thousands of images to choose from or bring your own image and let us bring it to life. Walk through the guest elevators and take a right on the casino floor. Starlight Tattoo is on the left just before the Tram Station. Enter the doorways from the garage area and walk straight on cobblestone walkway. Take a left at the casino floor and follow pathway straight. Take a right at the House of Blues. Starlight Tattoo is on the left.